If you are considering Writing a Business Book as a way to boost your personal and professional visibility while increasing your business credibility, the writing team at Mark Graham Communications has the experience you are looking for. Employing a professional ghostwriting and editing company like Mark Graham Communications allows you to share your business expertise with the broadest possible audience. At Mark Graham Communications, we take the knowledge that you have accumulated over the life of your working career and create a full-length book that is both professionally written and publication ready. A published book enhances your reputation and creates a natural pipeline for business and professional relationships previously unavailable to you. Writing a Business Book can help you better address your subject matter and produce a clearly written, compelling book. At Mark Graham Communications, we have assisted clients in all industries and written well-received business books that focus on sales, marketing, leadership, business creation, risk management and so much more. 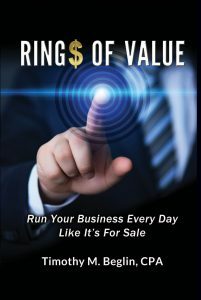 If you have a unique business message you would like to share with the world and are Writing a Business Book, a business book can prove to be a valuable strategic decision. Having a professional book editor or ghostwriter assist with the development and shaping of your material, you will produce a better, more powerful sales tool that will help you attract more business. If you are not already in a management or ownership position, becoming a published author also makes you more valuable to your current and future employers. Why wait? If you are considering Writing a Business Book based on your knowledge and experience, get it done faster and more effectively with the help of our award-winning team of writers at Mark Graham Communications. We can show you how to develop your subject matter, create an outline to guide the writing process, and then craft commercially viable prose that will entertain and inspire your audience. Call or email us today.